Some rooms in this building were not filled with junk (they were on the second floor). I guess it was too much trouble to walk the junk up a flight of stairs. 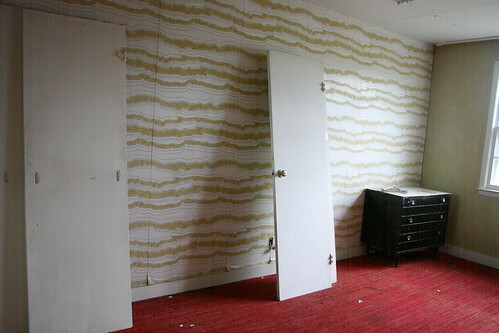 Loving the wallpaper and carpet in here, though, I would totally decorate a house like this.